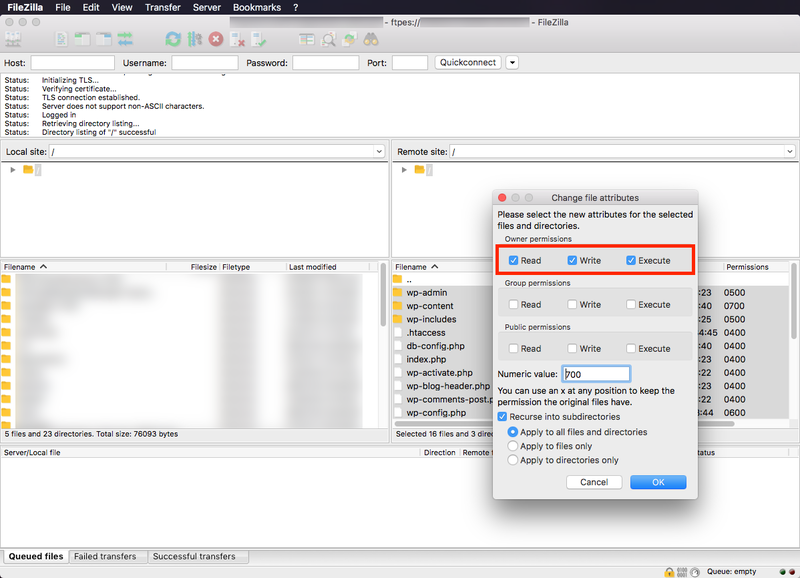 This short guide illustrates how you can change the file and directory permissions of your MagicPress site. 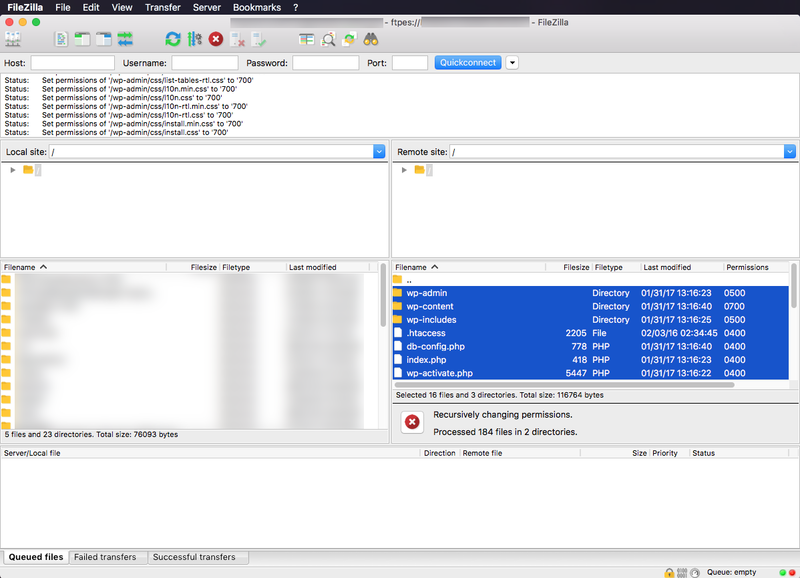 Therefore, a directory with permissions 500 is readable and executable by its owner. In the Change file attributes popup, select the desired permissions. 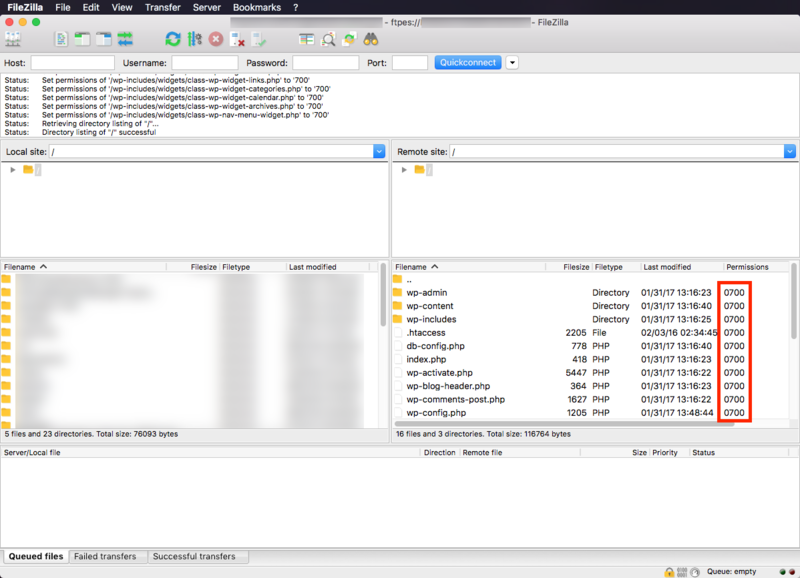 In this example, we want our files and directories to be readable, writable and executable by their owner. 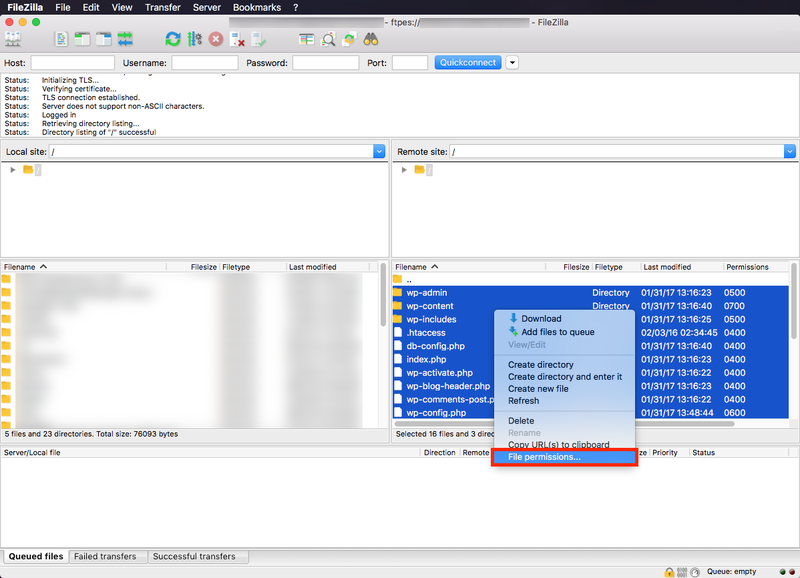 The permissions may be applied recursively into subdirectories (for files and/or directories) by enabling the respective option. Click OK when you are happy with your options. The process may take some time, depending on the number of files and directories selected. Please be patient. Notice how the permissions of files and directories have changed in the end.